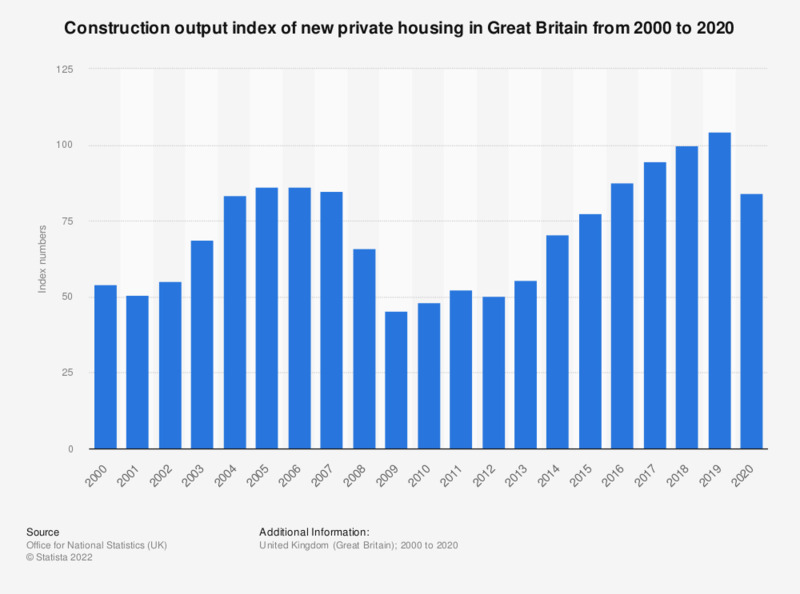 This statistic illustrates the construction output index of new private housing in Great Britain from 2010 to 2018. This index measures the construction output of new private housing within Great Britain compared to the construction output in 2016. From 2001 to 2006 this index saw a growth, followed by a significant decline, reaching the lowest value in 2009, with 44 points. Since 2010, the construction output index of new private housing in Great Britain grew constantly, peaking in 2018 with 116 index points.